I promised my younger son that we would make a gingerbread house. In anticipation, we got started on a less ambitious project -- a gingerbread house accordion book. 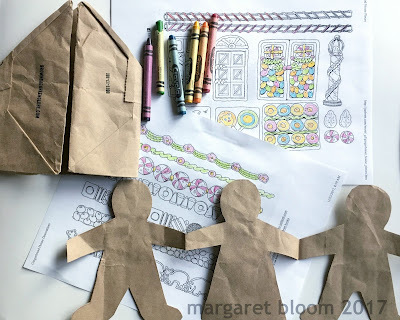 I've been wanting to try THIS tutorial on Susan Gaylord's book-craft blog for a long time; you can find it HERE. 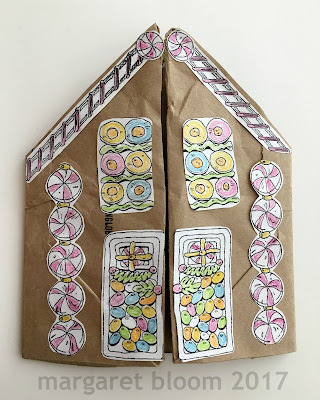 NOTE: The link on Susan's blog to her printable candy-design sheet is broken, so I searched around and discovered coloring sheets with gingerbread house pieces on Jan Brett's blog. You can find them HERE. Then we doodled with a black sharpie to add more details, but I kept wishing we had one of THESE white, oil-based paint pens to add details which look like white sugar icing. 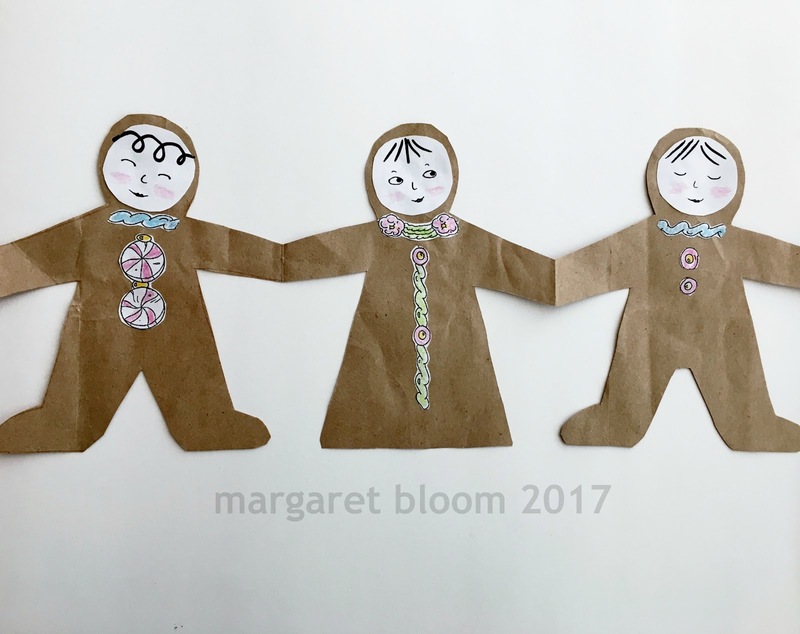 For more gingerbread fun, I highly recommend Elisa Kleven's Horribly Hungry Gingerbread Boy plus Jan Brett's Gingerbread Baby and Gingerbread Friends. 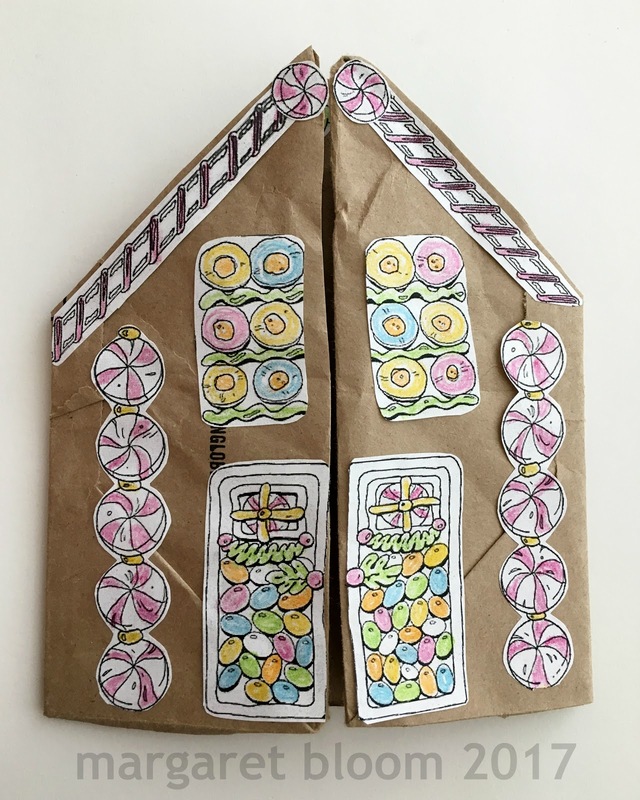 Are you planning to make a gingerbread house this winter? Maybe you will make a paper one, too?! What lovely, low tech, no-bake gingerbread creations! ( I was going to say that even BEFORE I saw your kind book suggestions .) Thanks,Margaret for all. 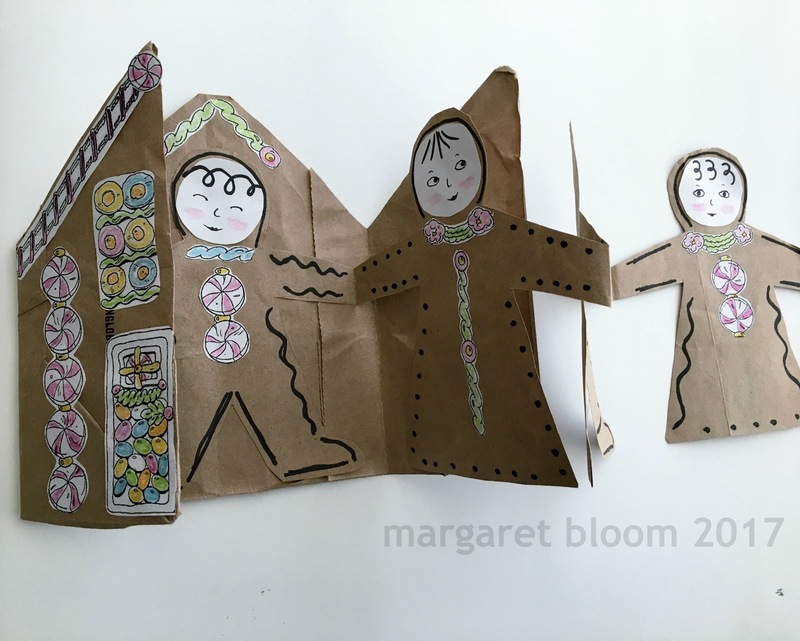 Really happy you shared this project, what fun to share working together on this charming gingerbread house and gingerbread children. I would enjoy working with my grandchildren on this project. Dear Nikki -- You are so very welcome! I hope you have a wonderful time with your grandchildren!